See the Wonders of the Ancient World with your own eyes! These historic manmade monuments have withstood the wear of time for millennia and their death-defying existence draws countless visitors to their respective sites each year. You may find below a selection handpicked by Perpetual Traveller Overseas. If you have ever wished to witness these sights with your own eyes, now is the time to take action! A massive structure that has been built, maintained and reconstructed under the rule of several emperors, primarily during the Ming Dynasty (1368-1644 A.D), the Great Wall of China covers a total distance of 21,196 km and is a testament to the great empires of its nation. 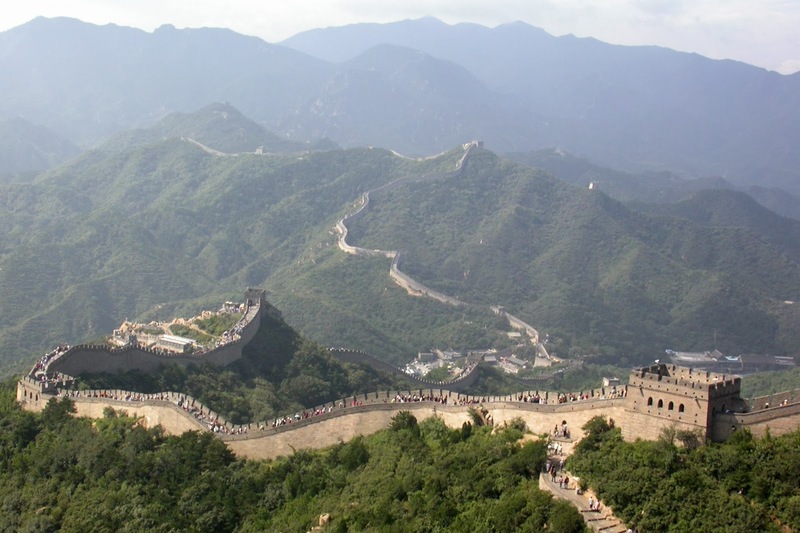 It is recommended to visit for a hike in spring, early summer and autumn, preferably in the Beijing area where tourist spots are open all year round. As the oldest and most intact building of the 7 Wonders of the Ancient World, the Great Pyramid of Giza in Egypt was constructed around 2560 B.C.E and was the tallest structure in the world for almost 4 millennia. 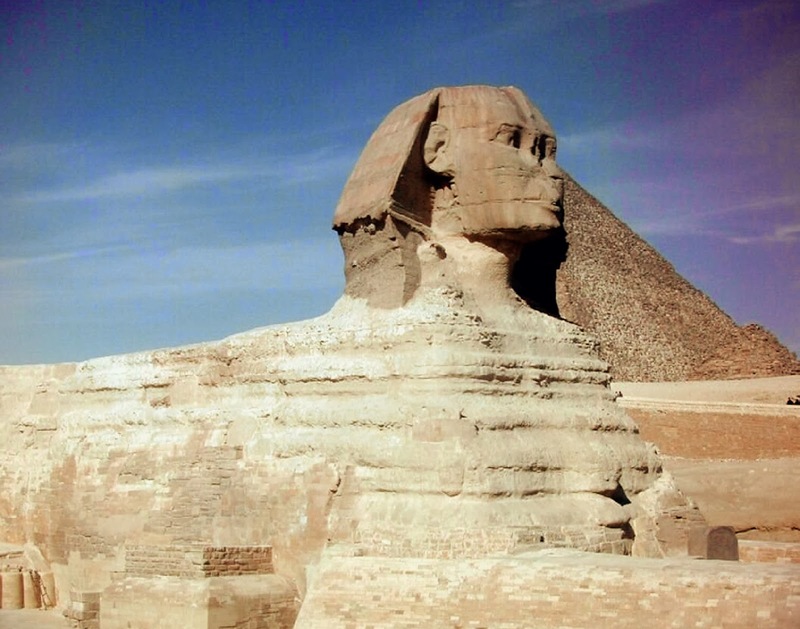 The Great Sphinx, about 1 km further away, is the oldest and largest monolith statue in the world. Both are open to tourists at all times of the year; we recommend visiting Cairo first and either taking the bus, metro or a taxi to Giza. The church Hagia Sophia is located in Istanbul, Turkey and since its inception in 537 B.C.E has been under the rule of several nations. 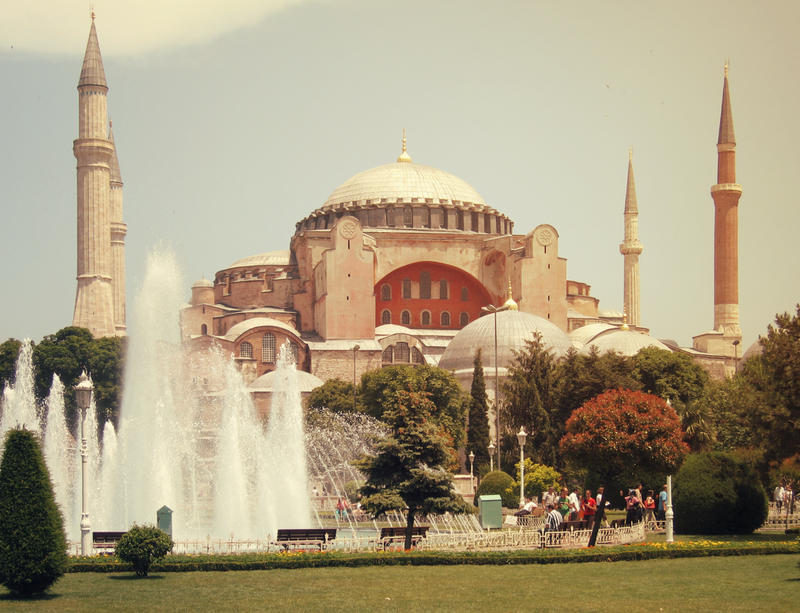 An impressively resplendent structure that revolutionized the history of architecture, it now serves as a museum exhibiting the Byzantine annals of time and is accessible to tourists all year round. 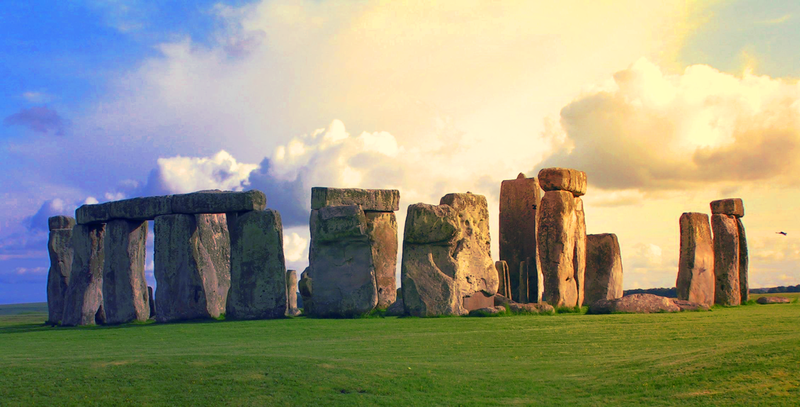 One of those unique locations that can make you feel as insignificant as an ant in the grand scheme of things, Stonehenge (Wiltshire, England) is a ring of giant standing stones believed to have been constructed sometime between 3000 and 2000 B.C.E. Their original purpose remains a mystery to this very day. We suggest booking tickets in advance before arriving at this destination due to a large amount of tourist demand. The Colosseum is widely thought of as the heart of Ancient Rome in Italy. Built in 70 A.D, it is the largest amphitheater in the world that is estimated to hold between 50,000 and 80,000 people. It was utilized for gladiatorial contests, reenactments of ancient plays and dramas as well as public spectacles; today it is a major attraction for tourists. 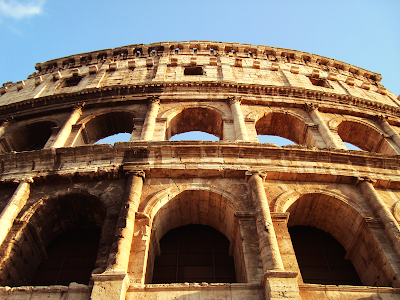 Once you're in Rome, you can get to the Colosseum by public transport or even walking. Once upon a time almost a thousand years ago (in 1172 A.D, to be exact) there was built a belfry that inadvertently began tilting to the side during construction. 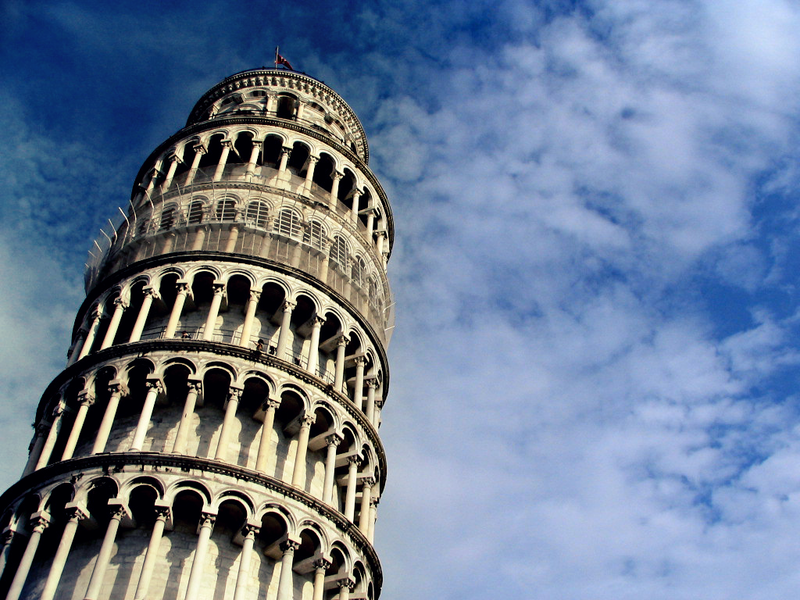 Known worldwide for this accidental quirk, the Leaning Tower of Pisa in Tuscany, Italy is a beautiful and unique structure that attracts hundreds of visitors every day. 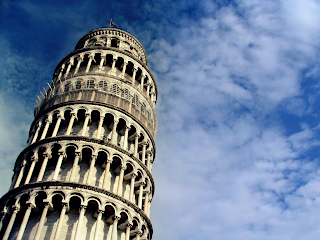 Once you arrive by train, it is advisable to walk to this location so that you may enjoy the artistic marvels and sights of Pisa. Built as a resting place for an emperor's beloved wife in Agra, India in 1632 A.D, the Taj Mahal is a mausoleum widely recognized as "the jewel of Muslim art in India and one of the universally admired masterpieces of the world's heritage" (UNESCO). 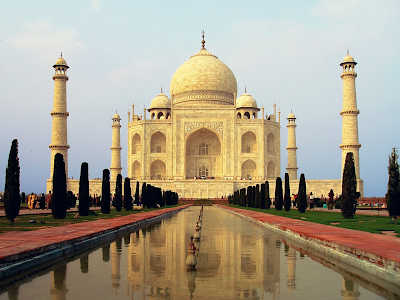 Once you arrive in Agra, we suggest booking a tour bus so that you may appreciate the miracle of the Taj Mahal up close. Since this list is only a fraction of the many wonders of the world, there are also other locations that undeniably deserve an honorary mention. What places are you looking forward to visiting? Feel free to comment if you have any thoughts!